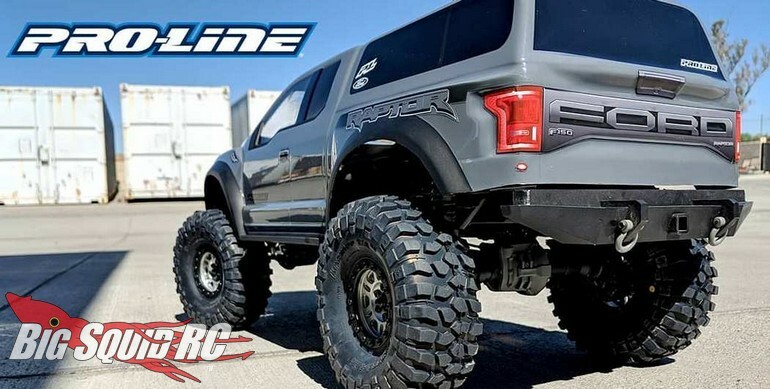 Sneak Peak Of Pro-Line’s New Ford Raptor Body « Big Squid RC – RC Car and Truck News, Reviews, Videos, and More! Here ya go Traxxas TRX-4 owners, Pro-Line is teasing an all new Ford Raptor body. As shown in the teaser image, P-L’s latest Raptor is heavy on scale realism and tough looks, perfect for the 12.8″ wheelbase TRX-4. This is just a teaser, we can’t wait to see full images and video! Full details will be released soon on the Raptor, until then you can use This Link to check out Pro-Line’s official website.